Check out these yummy ingredients headed over to Chef Sean and his crew out at Duggan’s Reef Restaurant on the east end. 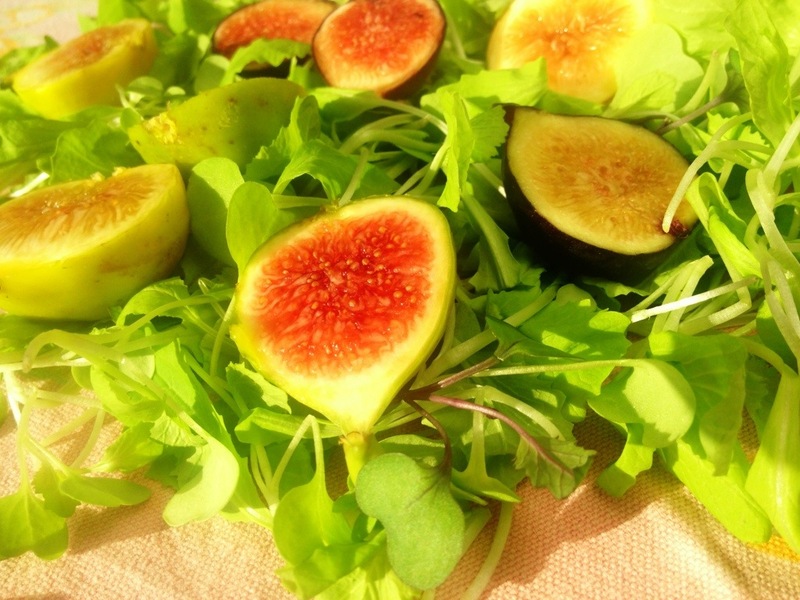 We don’t know exactly what Sean’s going to do with our microgreens and figs, and he’s still creating some flavors in his mind… But you can be sure it’s going to be fresh and fantastic! Book a table for tomorrow night, and find out how this cliffhanger turns out! Get Fresh on Valentine’s Day! Tell your love you want them to live a long, long time: buy them some healthy organically grown delicious fresh sweet fruits and veggies! (Love yourself, too!) Pick up some fresh farm flowers, some valentine-red tomatoes, some sweet magenta-red beets, deeply purple mustard greens, red passionfruits, and other love treats at ARTfarm this afternoon to make your Valentine’s dinner an expression of true love! Delicious ARTfarm beets, freshly harvested from the gardens, ready for you to turn into a red-themed dish for your loved one on Valentine’s Day (or any day you’re feeling the love)! If you’re heading out to dinner tomorrow night, ARTfarm has you covered! 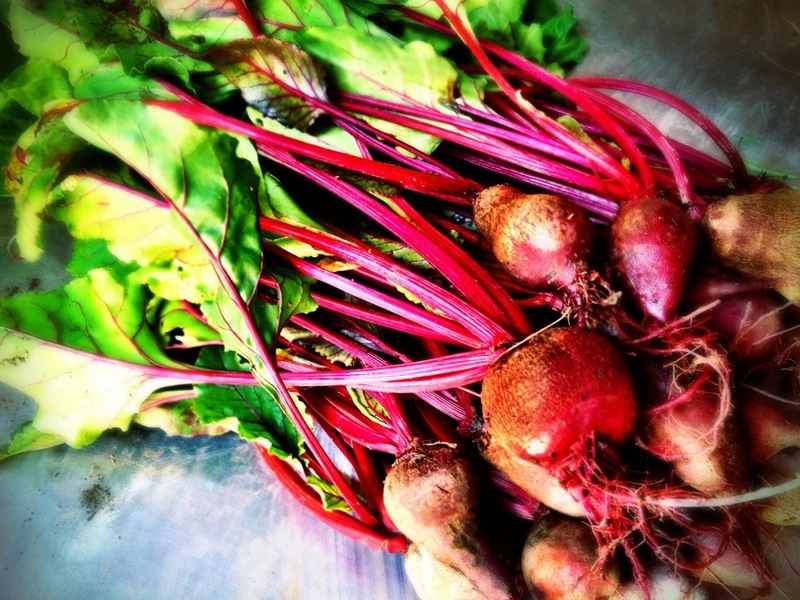 You can enjoy our sweet fresh produce lovingly prepared by our favorite chefs at Savant, Salud! Bistro, Tavern 1844, Dashi, Tutto Bene, Kendrick’s, Cultured Pelican, Duggan’s Reef, and the Terrace at the Buccaneer. Passionfruits have a sweety-tarty flavor that adds lift and life to all kinds of recipes! 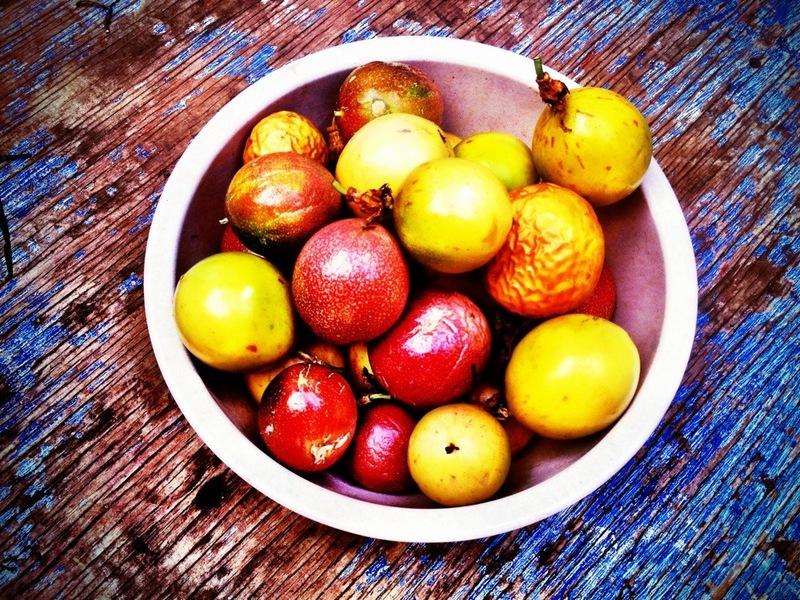 Popular for juice, delicious eaten out of hand or with a spoon… one of nature’s amazing gifts! Happy Valentine’s Day! For today’s pre-Valentine farmstand, 3-6pm, ARTfarm is offering unconditionally: Fresh cut flowers, beautiful red tomatoes, cheerful cherry tomatoes, romantic Mediterranean figs, adorable hot pink radishes, tender teen arugula, sweet salad mix, spicy salad mix, beautiful fresh beets with their greens, crunchy cucumbers, purple long beans, onions, garlic chives, mustard greens, basil, sage, cilantro (frilly and flat leaf), dill, local honey, vegan ice cream! 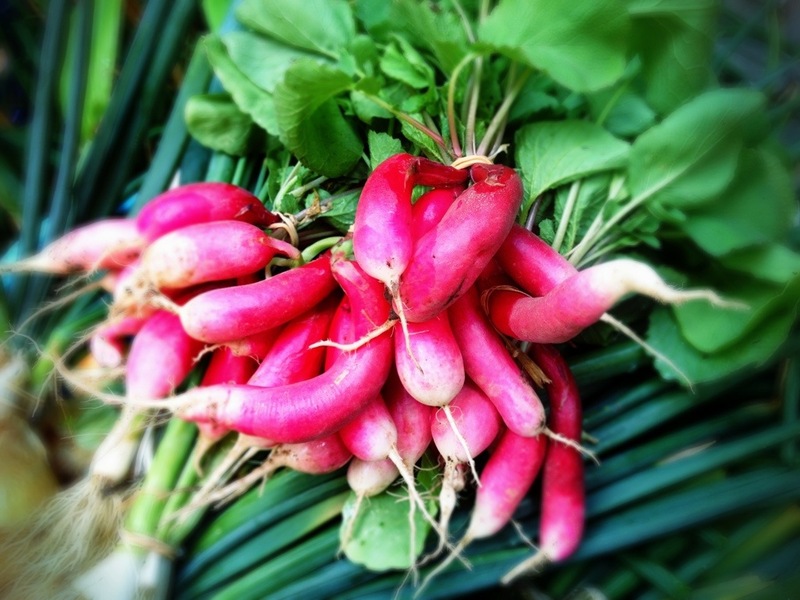 Hot pink, sweet and spicy little breakfast radishes make a tasty little salad for the love bunny in your life. Crunch crunch! Savant, Dashi and Kendrick’s on the regular ARTfarm delivery route! 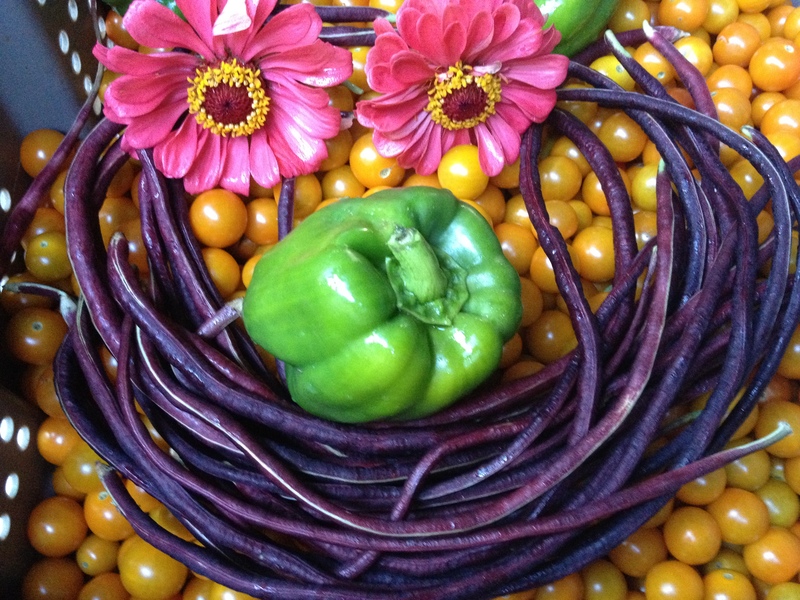 We love to grow fresh food for creative chefs almost as much as we love to supply our family and farmstand customers. We love it when these guys call us up asking about new crops or telling us what amazing dish they are going to make using our stuff. Or just to harass Luca and try to get him to play basketball. 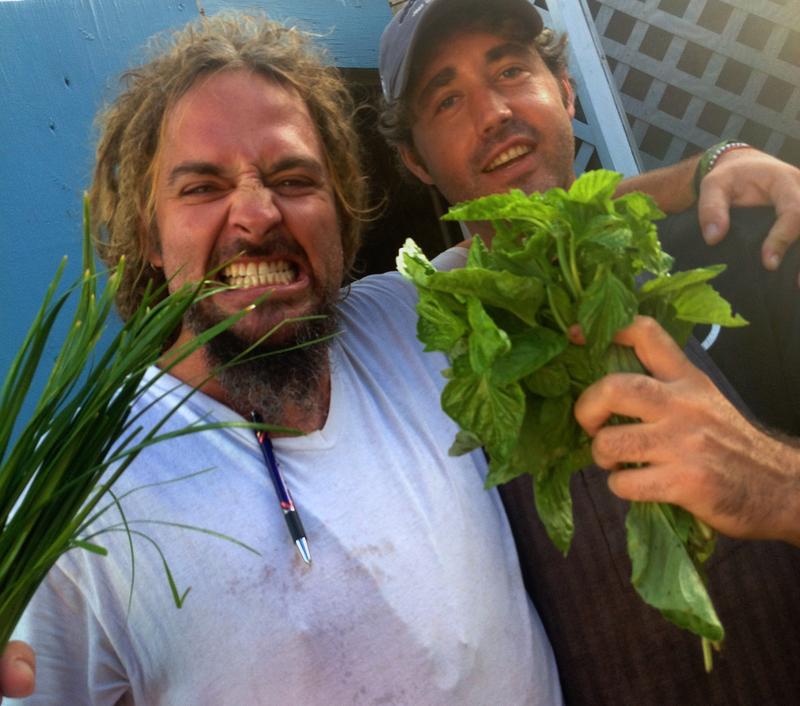 The ‘double D’ chefs of Savant Restaurant (Dreads and Daryl) get sassy with some fresh herbs from ARTfarm. Jill and Ashley at Dashi, and Dave over at Kendrick’s also took on some ARTfarm produce Wednesday afternoon. 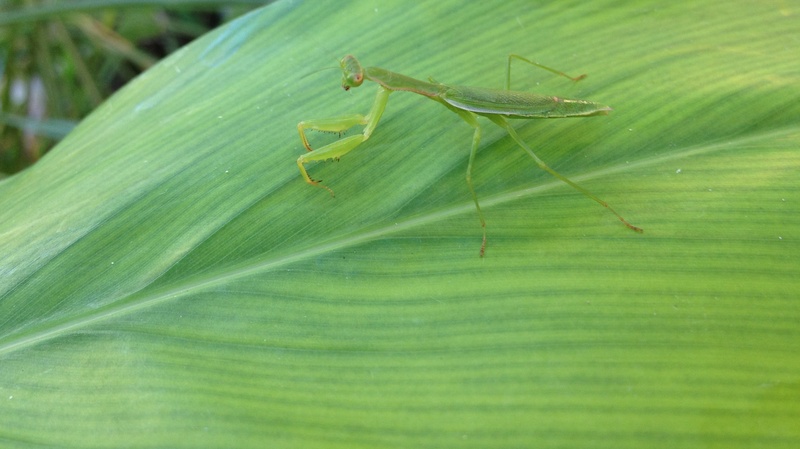 Eat out in Christiansted this week and celebrate: the blessed ending of a lengthy campaign season, or butterfly season, or just awesome food! It’s still early in the season, but Savant, Kendrick’s and Dashi are already on the ARTfarm Christiansted delivery route, and as the season continues and the heirloom tomatoes come in their orders will undoubtedly get heavier! Thanks for the support! !